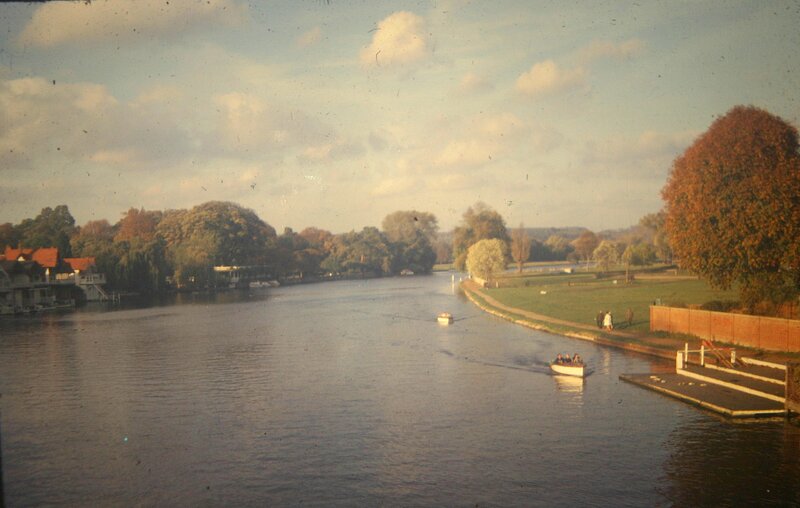 A classic view of the River Thames taken from Henley Bridge in the 1960s. Uncommon card. 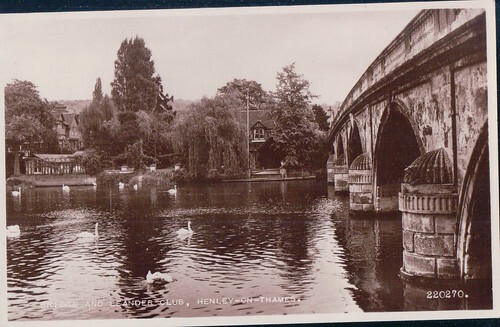 A scene of the bridge and the world famous Leander Club from early 1950s? Nice 1950s photo on river side of Arlett and Son boat hire soon to become Alf Parrots. Nice colour print of Temple Island. This is just up from the start the Regatta Course. 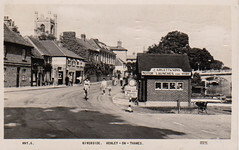 A nice early 1960s postcard. Posted on 11th October 1961 and sent to the Channel Islands. Saying this is a lovely place, even more so then. Note the name above the boat hire company. A view taken in the 1960s of crowds lining the River Thames during the Henley Regatta. The Henley Regatta in full swing. 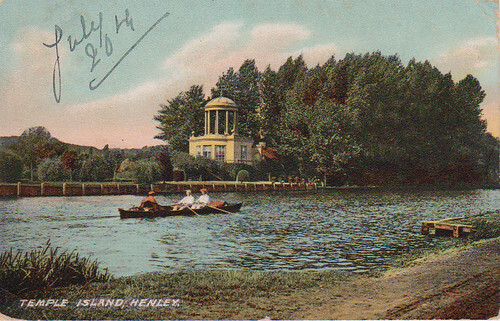 A lovely old view of Henley Regatta in full swing on the River Thames in front of the Leander Club. Crowds build up along the River Thames in Henley to view the Grand Challenge Race at Henley Regatta. An aerial photo of Henley showing the regatta course. Happy Valley situated alongside the River Thames. The footbridge by Marsh Lock at the end of Mill Lane alongside the River Thames. This old picture shows the River Thames during the Royal Regatta. The Leander Club situated alongside the River Thames. An old picture of Henley-on-Thames showing Saint Mary's Church and the River Thames. A nice tranquil scene of the River Thames at Henley. A crowded river in front of The Red Lion hotel during regatta time. The River Thames near Marsh Lock in Henley. Boats on the River Thames during the Henley Royal Regatta. Henley Regatta Reach from Bushy Gate along the towpath by the River Thames in Henley. Marsh Lock on the River Thames in Henley.